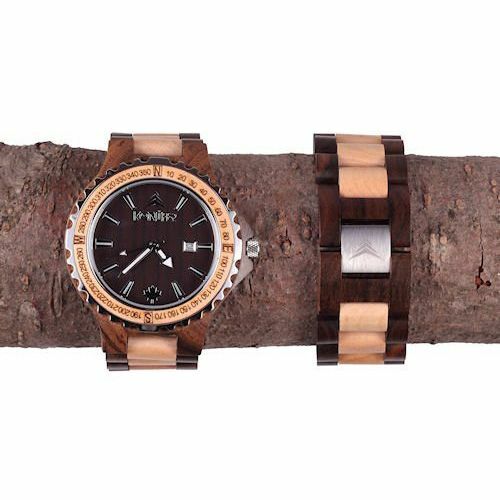 The two-toned Navigator timepiece is a distinctive wooden watch with the athletic features you want and the sleek and stylish look you need. 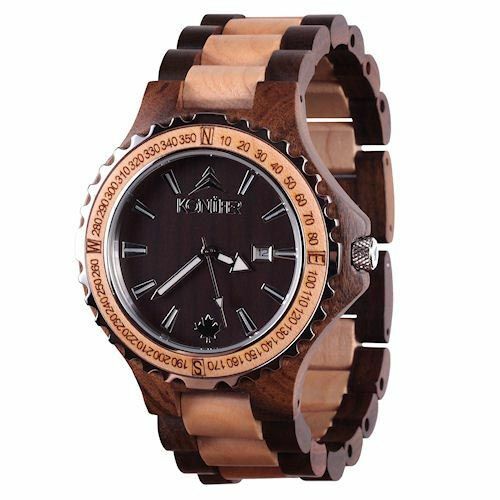 Hand-crafted from sandalwood and maple, the chocolate brown and blonde woods compliment each other. 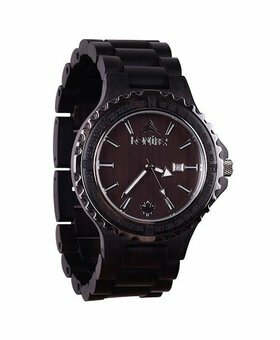 The watch displays the time and date, along with a sporty compass dial that is accented with metallic features. 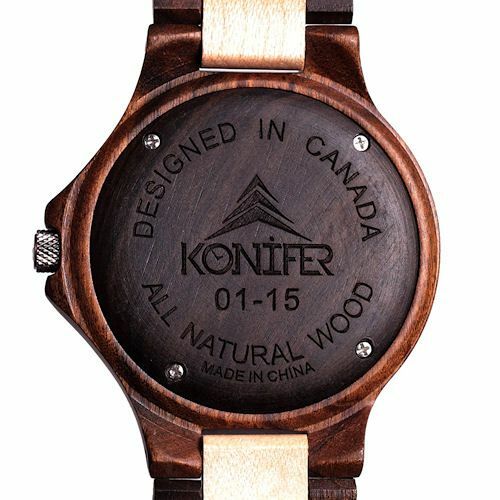 The ecologically friendly and renewable woods are finished in a non-toxic satin oil finish. 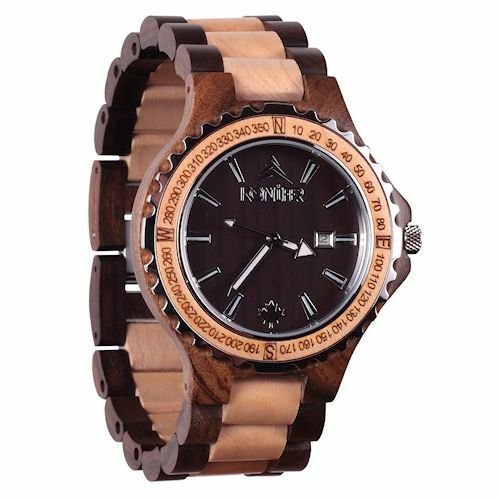 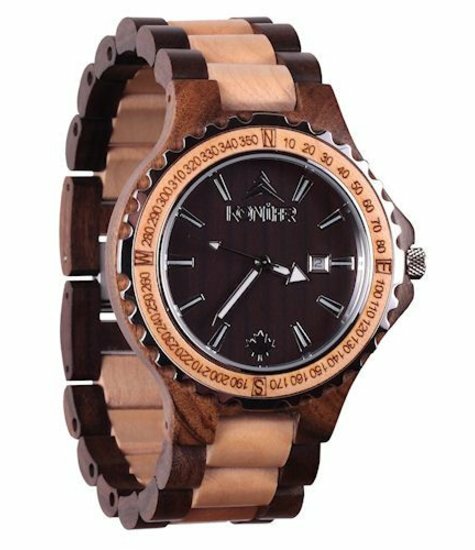 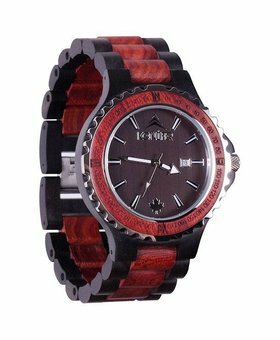 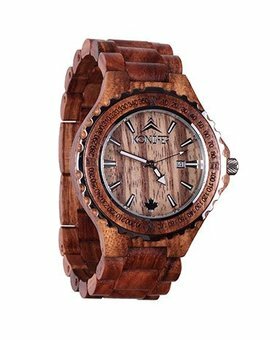 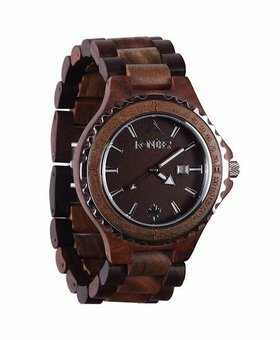 Protected by a 5 year warranty, this wooden watch is an accessory that can be worn in professional or casual settings.